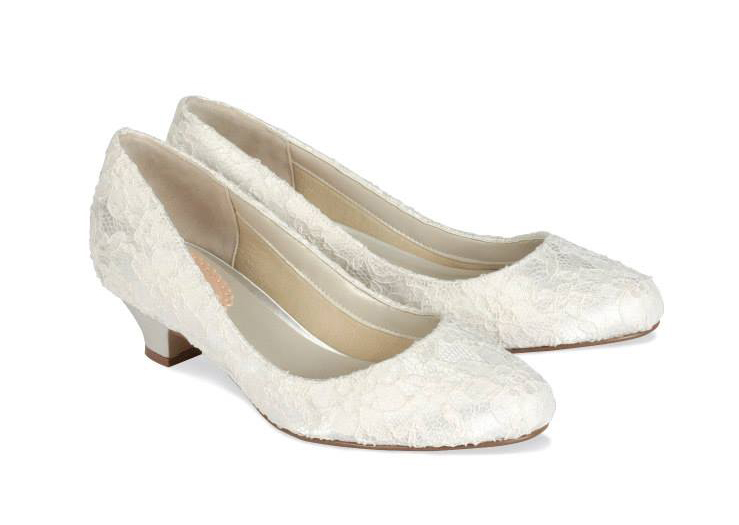 Adorable lace covered low heel pump with almond toe. This shoe has the timeless appeal of lace and is perfect to compliment the beautiful brocade and lace of any wedding gown. The high quality lace fabric overlays smooth ivory satin, giving a wonderfully translucent effect: stunning in ivory, sensational when dyed to any colour! And you can be sure of comfort too: a pleasant heel height combined with the Paradox padding inside. Click the button below to add the Paradox Pink Bon Bon Ivory Dyeable Satin and Lace Wedding Shoes to your wish list.